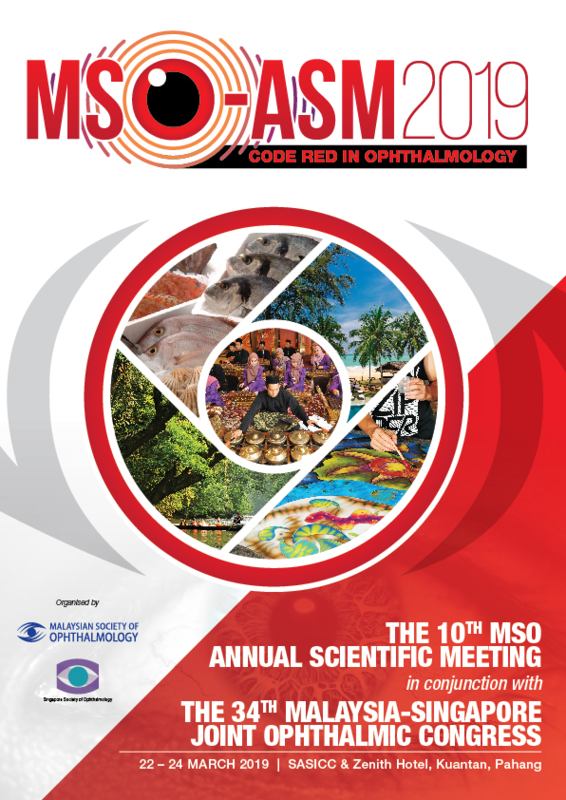 The newly minted MSO Cataract and Refractive Special Interest Group (SIG) meeting will be organising a quintessential session on cataract surgical techniques, phaco-dynamics and ‘challenging cases’ presentations. Look out for the invite and ensure you register early as spaces are limited and are bound to be filled quickly so ensure you keep the weekend of the 3rd and 4th November free! The MSO is pleased to have supported the 2018 National-Level World Sight Day Event which recently took place in Johor on the 11th of October. It was a very well organised event which was equally well supported by other charities, associations and industry. Needless to say, we all need to ensure that we strive to protect the sight of our nation at large. In this same vain, the society thanks all the individuals who have come forward and provided us with information of dubious eye products whose sale is rampant on online stores and multi-level marketing modalities. We cannot, in all conscience call ourselves a progressive, first-world nation if we do not ensure that these practices are stamped out and our citizens gain access to equitable, evidence-based eye care. This should be the bare minimum that we, as members of this society can uphold and promise to our patients and fellow countrymen. The Ophthalmology-Optometry Conference was first organized in the year 2014 and is a biennial programme by the Ministry of Health with collaboration between ophthalmologists and optometrists. The 3rd Ophthalmology-Optometry Conference was successfully held from August 10-12th this year at the Aman Jaya Convention Centre in the beautiful city of Ipoh. The meeting which was hosted by Hospital Raja Permaisuri Bainun in collaboration with Hospital Sungai Buloh was attended by nearly 600 delegates from throughout the country. This 3-day programme started off with a preconference and a ‘hands-on’ Cornea processing workshop followed by 2 educational days of scientific talks covering several topics of interest. These topics are catered to not only Ophthalmologists but also took into account the special interest in the field of work pertaining to our colleagues, the Optometrists as well as the Paramedics. The collaboration of ophthalmologists and optometrists in our field is unique and is essential in providing eye health care services. It has been a dream for many of us to have our own journal. It became a reality on 15 August 2018 when our online journal became available at https://www.myjo.org/index.php/myjo/index. MyJO is now accepting research articles, case report and letters to the Editor. Our first issue will be available in December 2018. MyJO is extending an invitation to all ophthalmologists, optometrists, visual scientists, eye-care providers and trainees to submit their work at https://www.myjo.org/index.php/myjo/about/submissions. The success of refractive lens surgery depends on accurate pre-operative keratometric readings and predictable post-phacoemulsification keratometric changes. The majority of older cataract patients have against-the-rule (ATR) corneal astigmatism, with the steep meridian oriented along or close to 180°. With the advent and improvement of multifocal IOL technology offering one-in-all refractive solutions for presbyopia, myopia and astigmatism, refractive cataract or lens exchange patients are presenting progressively earlier. These younger patients often have with-the-rule (WTR), with the steep meridian oriented along or close to 90°. Consultant Corneal Surgeon @ Hospital Sungai Buloh. 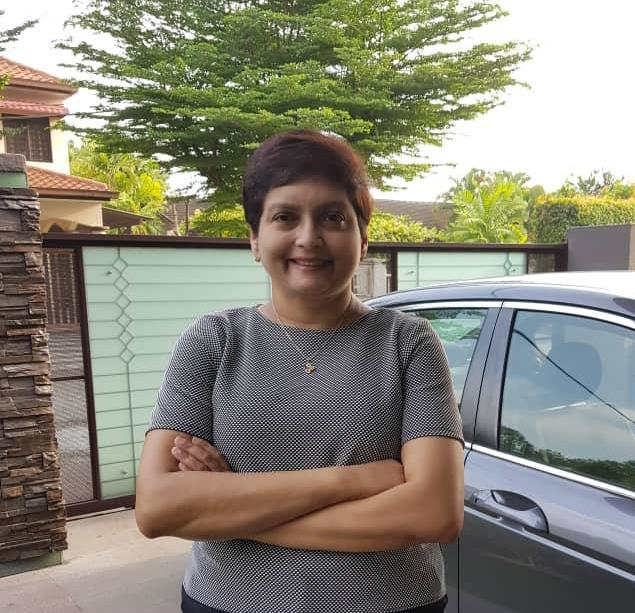 She hails from Ipoh and completed her medical studies from the world-renowned KMC Manipal India following which returned home in 1996. While even in college she had developed a keen interest in Ophthalmology and was the top of her class during her undergrad days.